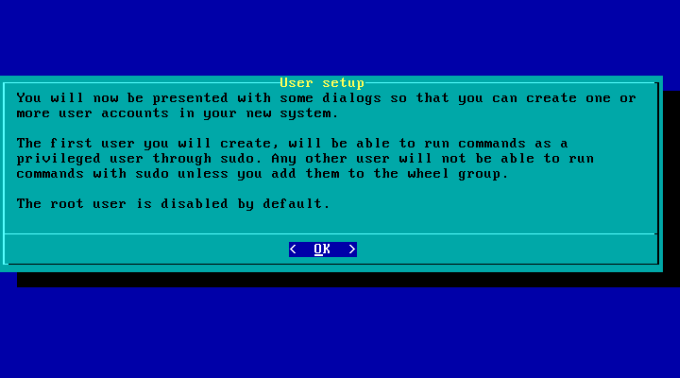 Dedoimedo, why don't you ever review Slackware or Slackware-based distros? You complain, I listen, even though you forgot to say please, you uncultured you. Anyhow, there's no real reason why not. Well, there is. Slackware is not designed to be too easy to setup, and I find that kind of exercise, akin to Gentoo and Arch, rather pointless. But I decided to make an exception, and see what gives. 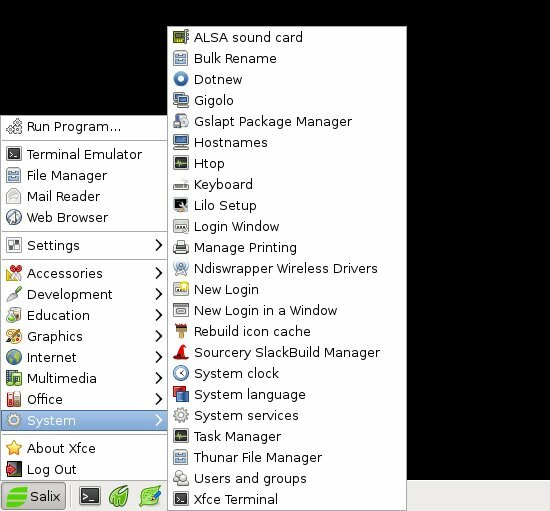 We have Salix 14.1 Xfce here, and it's supposed to be easy. It's a Slackware derivative, so we're okay there. I am going to attempt to use the distro on my T61 machine, and if that fails, we will try something else, less stringent. Please follow me. 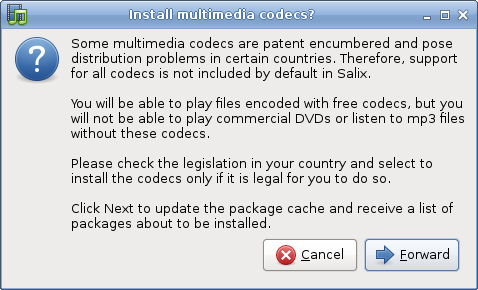 The Salix boot media is an install-only setup. 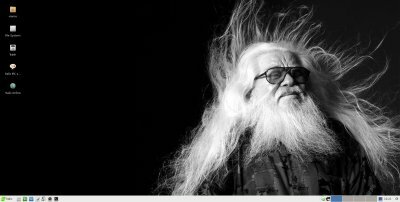 You go straight into an ncurses-interface wizard, similar to what you get in CloneZilla. It is both simple and complex at the same time. For newbies, it could be a nightmare, especially the partitioning part. For experienced users, it's quite all right. Not as pretty as some, but functional and predictable. The T61 laptop has four distributions installed on it, two on each of the two identical 40GB SSD. This presented me with a quandary. I could not tell how Salix has enumerated the disks, and which one had the fourth distro instance that I did want deleted, and which one did not. There were no additional virtual consoles available, so I could not mount and test. Therefore, I gambled. Turns out I gambled wrong, and I had killed my Kubuntu install. The installation was fast, about 15 minutes, followed by the user setup. Root is disabled by default, and you administer the system through a sudo mechanism. No problems there. 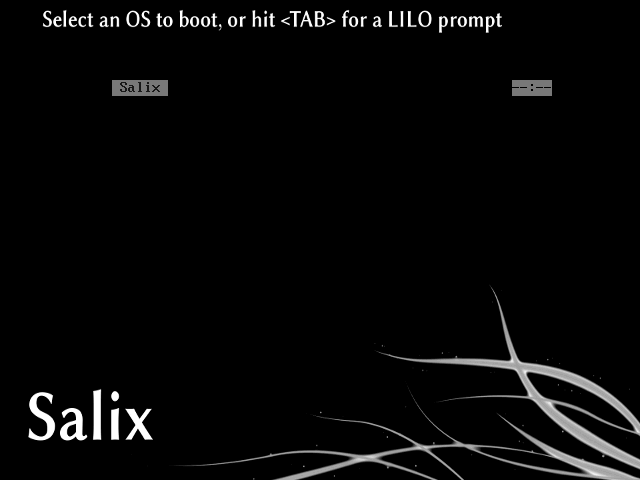 Only after reboot, Salix would not boot. It froze just before reaching the desktop. And that was it really. To my great disappointment, I had to divert the testing to a virtual machine. It's not how I like to do this, but it seemed to be the only way to get past the initial problems. Now, normally, I would have given up, as I've done with Fedora 19 and Mageia 3, but here, for some reason, I thought to give it a try. After all, it's not like I'm testing Slackware-based distros every day. This also means you get to see a few screenshots of the installation process, which can be handy. Anyhow, you can try autoinstall, or go step by step. I chose the slower, more manual option. What you see here is a simple disk layout, with an empty device, which makes it rather trivial. In my case, I created a root partition and a swap partition. After that, Salix auto-detected the swap and mounted it. You have the option to install the full system, a basic system with GUI, or just the core, which is a tiny system for complete customization. I selected the FULL option, and the installation took maybe three minutes. Super fast. After that, there's the LILO setup. Now, you may be scared of using this bootloader rather than GRUB or alike, but for me, this refreshing departure from the norm did not pose any problems. The user setup is also fairly simple. You need to create one and provide a password. After that, you can manage all other users, add permissions, change groups, and more. However, for the typical home user, none of that is needed. On first boot, you will be greeted with a simple and elegant bootloader screen. Again, a surprise. 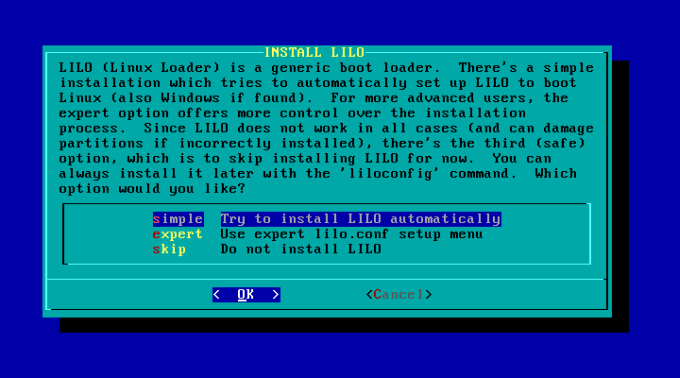 I was expecting a hideous 16-color menu, but it seems that LILO has made some significant progress too, and it comes with its own fancy graphics and such. Anyhow, the installation was quick and successful, and now it's time to use Salix 14.1 properly. Salix comes with a classic Xfce desktop, without any great embellishments. You even get non-transparent backgrounds for icon text. Now, this may not concern you if you test on physical hardware, but here, I did have to do some small changes before I could use the distro in earnest. Namely, the installation of VirtualBox Guest Additions as a first step. This failed, because there were no kernel sources available, although gcc, make and kernel headers are. Fixed, after installing the missing package using the slapt command line. Another downsize of a virtual machine testing is that you don't get to test all the hardware properly. For example, no Wireless or Bluetooth here, I'm afraid. But Samba sharing did work just fine. For all practical purposes, slapt and gslapt are identical to APT and Synaptic. Simple, quick, no great fussing. And oh so quick, that's the big one. I used both the command line and graphical interfaces without any issues. You can finds tons of great stuff in there, including even the Faenza icon set, which we will be needing later for the desktop customization phase. Another strong side of the package management mechanism is that you get a special entry in the media section in the system menu, which allows you to install tons or proprietary codecs, in addition to the basic Flash and MP3 combo. 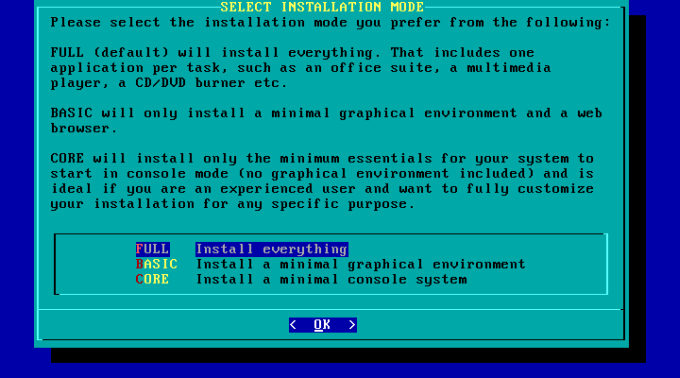 After the installation, you can retain the script or remove it from the system. 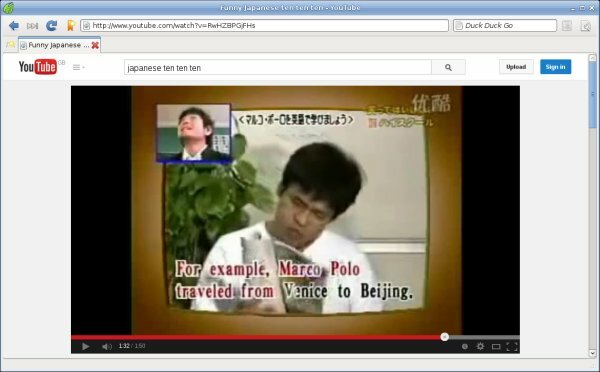 Speaking of codecs, I tried HD video, MP3 and Flash. 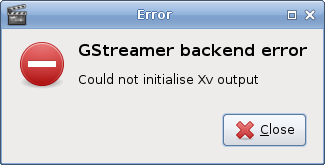 Now, Parole, the default media player, complained about a gstreamer backend error and something to do with the xv output. For a 700MB system, Salix 14.1 is quite rich. You get a mix of Xfce apps and other cool stuff. Midori, LibreOffice, GIMP, Parole, Pidgin, Transmission, and then some. Alas, no Steam, not even in the repositories. This might be a little unfair, but consider this. 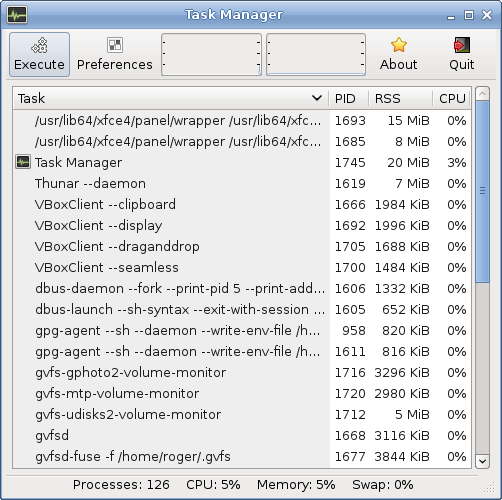 An i3 processor, a 7,200 rpm WD Caviar Black disk hosting the virtual machine disk. The performance was totally blazing fast, one of the fastest I've ever seen. 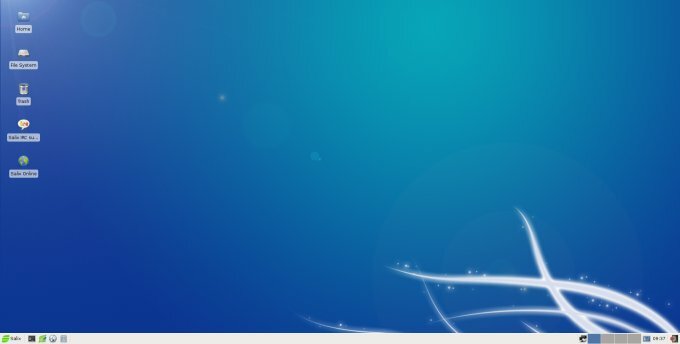 It's not just the platform, it's the built-in litheness of the Xfce desktop environment and the underlying goodness of Slackware. The CPU was mostly quiet, although it spiked to 5% now and then. Memory usage hovered around 5% of the total 4GB assigned, which comes down to about 200MB. Again, this cannot be compared in any way to physical hosts, but it was a very smooth and slick experience. And utterly, utterly stable. There's no default printing utility. I had to install system-config-printer. 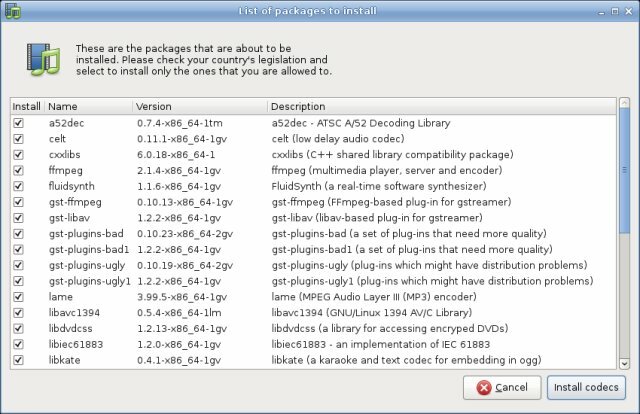 But even then, I was not able to print to the Samba neighborhood, because still more packages were missing. I guess this is the weak side of the distro. Salix 14.1 also comes with a lot of useful utilities for general use. You can manage Wireless drivers, rebuild the icon cache, configure the bootloader, and more. Perhaps all of it should be placed into a single centralized control panel toolbox, but you get the functionality. Much like we did with Xubuntu, we do here. Salix 14.1 can be made totally pretty quite quickly and easily. I changed the icon background, the icon set and the wallpaper. And the more you use it, the more you like it. Let's sum all the parts. Not the friendliest distro, it failed the hardware test, you need to install a bunch of things to make it all work, no Samba printing. Well, not really impressive, now is it? But then, that's not how I feel about Salix 14.1 Xfce. For a strange reason, I feel benevolent. Calm, composed. There's this rock-solid aura about this distro. Must be the twenty years of Slackware legacy. You get the desired results, and if you are willing to take the journey you'll get there. Predictable, I guess is the right word. Totally predictable. You know what's gonna happen, and there will be no nasty surprises. Overall, Salix 14.1 is a well-packaged product. You know that those areas where it fails, it's done on purpose. It's not bad QA. Consequently, recovery from these failures is quite simple. 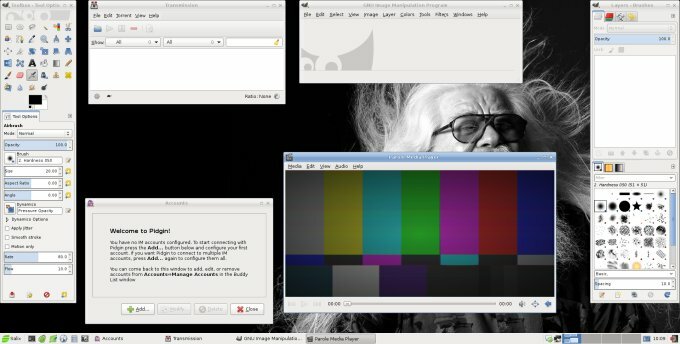 As you use the distro, you get to like it, and you forgive some of its shortcomings. Now, it's not all rainbow and kittens. This is not a system for beginners. It does not replace Ubuntu and family. But for its intended audience, it makes perfect sense, and so much more than some other supposedly nerdy distributions. With others, there's chaos. Here's it's tranquility. Overall, 7.5/10. Not bad. Quite unique. Worth your time, for sure.